Having lived in London for almost 3 years, I decided that it’s time to explore the UK a bit further this year. 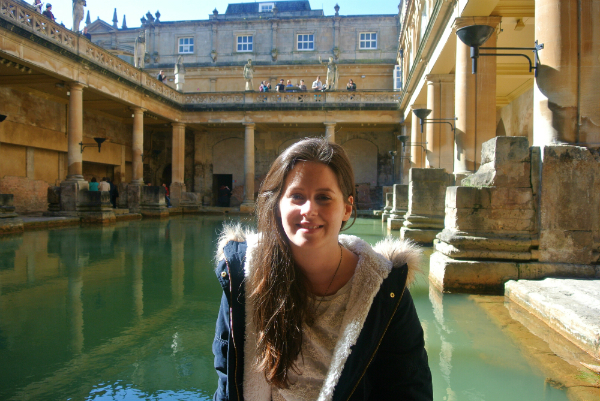 Bath was on top of my list because it is known for its Roman Baths and being a UNESCO World Heritage Site, so we went away for a relaxed weekend in Bath. Bath is reachable by train in 1.5h, but taking the coach is usually a lot cheaper. We took the National Express for £14 return each and hit the roads. We arrived at Bath bus station 3 hours later and made our way to our accommodation which was a nice 15 minute walk away from the centre. We stayed in a cute, little river apartment and I instantly feel in love with the colours and cosy interior. On our first day, we walked through the Royal Victoria Park – a beautiful park with the biggest playground I’ve ever seen. Since it was a sunny day, people were outside having picnics and playing outdoor activities. 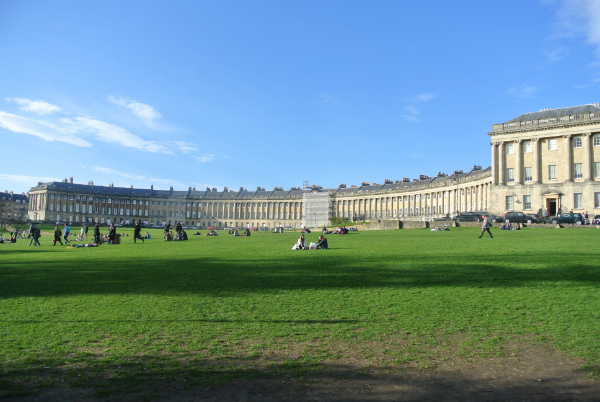 Just above the park is the famous Royal Crescent: a row of 30 terraced houses built between 1767 and 1774. The Georgian architecture now hosts a luxury hotel, a Georgian house museum as well as flats and offices. No wonder that it got second in the “Britain’s Most Picturesque Street” award. Close by is the Circus, another example of Georgian architecture. 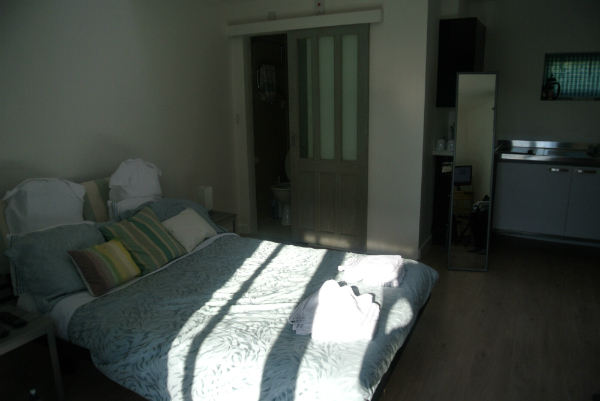 It’s a circular space surrounded by large townhouses – very impressive. 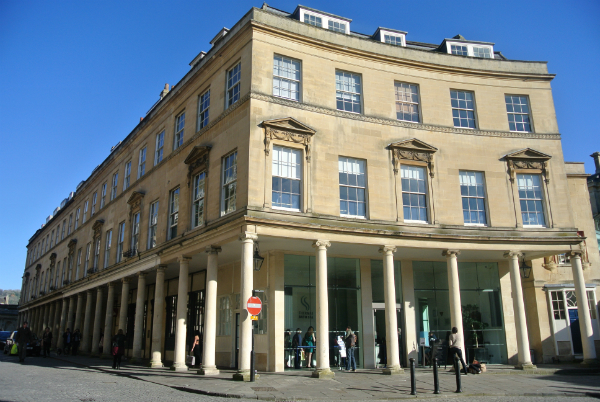 Throughout the centre of Bath are many Roman archaeological sites such as the Roman Bath which is located next to the Bath Abbey. We did the tour and at the beginning we’re given free audio guides, which made the tour very informative and interesting. 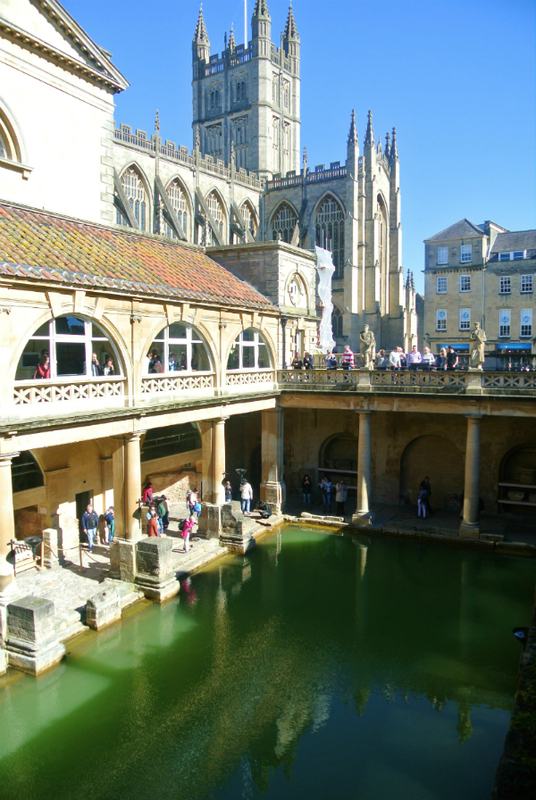 The main features of the Roman Bath are the Roman Temple, the Roman bath house, the Sacred Spring and the Georgian Pump Room. It’s also a great spot to relax in the sun. The highlight was most definitely the Bath Thermae Spa. It is located right in the centre and is known to be the only natural thermal spa in the UK. We got the Twilight package (£80 for two) which includes a 3-hour spa session, complimentary use of towel, robe & slippers as well as a dish and drink at the restaurant. You can either pre-book the package or go there on the day to snap up 1 of the 60 day tickets. We got there at 15:30 and only had to wait a short amount of time to get in. We started off with the Minerva Bath in the basement. It is a huge swimming pool with a bubbly whirl-pool and I instantly felt very relaxed. Next on our list was the rooftop pool which is the highlight of the spa and it WAS amazing. Although it was quite busy, the atmosphere was great. 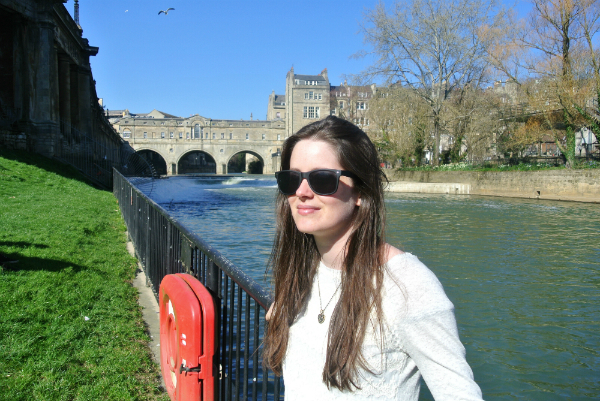 We got a beautiful view over Bath while the sun was out and we totally forgot the time. Since a meal was included in the package, we made our way to the restaurant. I had Italian sausage rigatoni which was delicious. Only downside, they got mixed up with our order, so we had to wait over 30 minutes for our meal, which meant less time left to enjoy the rest of the spa. In our last hour we first went to the steam rooms. They have three of them and each is infused with an aromatic essence. It quickly got very hot, so I just stayed for a short time and quickly went to the rooftop again to enjoy the view for a little longer. Although, it was difficult to leave after 3 hours, it’s the right amount of time to enjoy all areas of the spa. I look forward to coming back again! 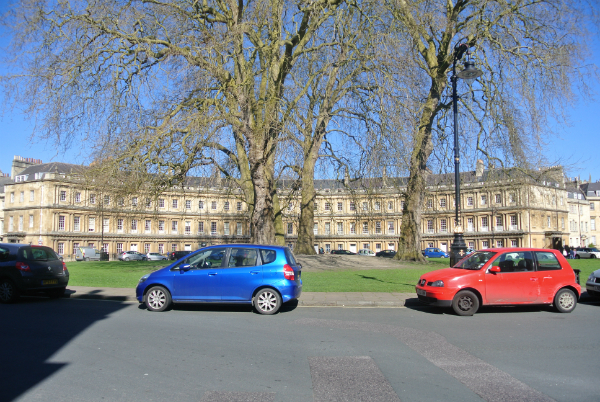 Overall, we enjoyed our stay in Bath a lot. Although we were just 150 km away from home, it felt like a proper holiday. 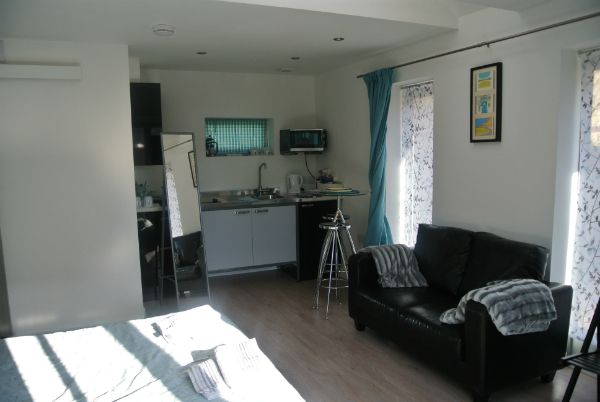 It’s the perfect place to get away from the hustle and bustle in London and having a relaxing time. So, when are you going?